When developing products, enhancing services, improving communications or customer support, services or sales, we do not settle for industry standards, we want to define them. We strive for 10X improvements. We want achieve breakthrough improvements in customer-focused interaction, in quality and reliability and productivity of SMBs. We push every limit. We don’t believe in boundaries. And we remove obstacles. We rethink problems that our customers face, not with the goal of reducing their pain point, but eliminating the challenge altogether. The Unitedweb family of companies is committed to delivering products and services that are game changers for us and our customers making them more competitive at their game. The Unitedweb companies share the same foundation – provide Amazing Service™ to our employees, customers and partners. We have the most entrepreneurial culture in the world. People are our most valuable asset and the key to our success. We reward people that lead by hard work, commitment and integrity, and strive to surround ourselves with employees who demonstrate initiative, ambition, and drive to be the best. We demand integrity. It translates into a simple mandate to conduct all activities with honesty and transparency and mutual respect for each other including our customers, vendors and partners. Nobody works well in a toxic environment, and the rest of our values and culture are only truly possible if we create an environment that is fun, supportive, motivating, and embraces individual development. We make sure to enjoy ourselves and maintain a spirit of levity. The will to win is part of our competitive nature and we are committed to maintaining the entrepreneurial spirit that reflects a competitive work ethic. This requires agility in decision making, metrics for everything of significance, and maintaining our spirit and work ethic to never stop moving forward. Our single-minded goal is to continuously improve, stay ahead of the competition, and focus entirely on being the best in our core competencies. We believe that great strategy is not being everything to everybody but rather being the best at what we do well. We promote a customer-centered culture that emphasizes outstanding service and meeting our commitments at every level in all of our company. 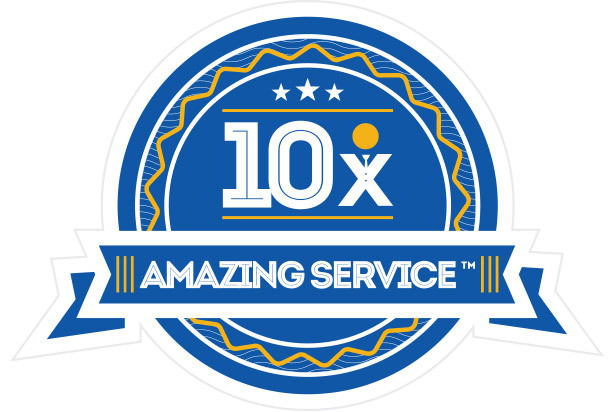 Providing "AMAZING SERVICE" is not a department but the entire company, and creating it is something we can do with small steps, every day, month, quarter and year. Over the years we have developed operating principles that have guided us. We use what we've learned from our successes and, more importantly, our failures. As our knowledge and expertise evolves we continue to enhance our principles. It’s our passion helping businesses use technology to grow and transform. Our attitude is that anything we do should empower our customers. New opportunities seem to take the world by storm. We only participate in these that we fully understand and most importantly believe to create meaningful change. We prefer to own a controlling share of the companies we build and manage. Our companies are generally privately held. Not because we devalue new inputs and perspectives, but rather to maintain our own sanity and preserve our flexibility to build great things. We’re not looking for the exit doors. It is not part of our mindset and strategy. It makes our decision making clear and simple. We seek to create a competitive advantage for the long term. We consider any business that fits into our core markets and that we expect to generate solid financial performance to be a good business opportunity. We do not plan to exit good businesses because they are not easy to find. We believe that markets will provide us with the right opportunities to realize our success. Every day we have the opportunity to improve our businesses. We take a “progress over perfection” approach. We use technology to solve our problems as well as the problems of our customers. We make our work fun, rewarding and empowering. We work with people who are willing to give their all. We don’t ask anyone to do anything we wouldn’t roll up our sleeves and do ourselves. The people that share our passion and approach are rewarded with fair and competitive compensation, advancement opportunities and place their career can call home. Since its inception, we have been focused on creating internal processes to ensure that customer expectations of error-free, timely attention to their needs are consistently met. As the company continues to grow quickly, continuous attention to assuring operational efficiency is required. We focus on increasing reliability, which results in improved customer satisfaction, reduction in costs and improvement in employee satisfaction and retention. We have created the operating processes necessary for streamlined, reliable results measured against objective and constantly improving targets. Customers expect close to 100% reliability. Even though this goal is not fully within the company’s control, it is necessary for Unitedweb and its companies to be sure that all aspects of reliability that are within its control are being optimized. We have implemented more active monitoring of all aspects of our complex system and removed many reliability obstacles and performance bottlenecks, which has had a positive ripple effect throughout the company. Fewer reliability concerns mean fewer support calls, fewer cancellations, more renewals and more referrals. We play to win. We compete in markets and build deeply rooted expertise and experience. Our core business are cloud services: Internet and technology infrastructure, communication and website protection. So that’s where we focus. We'll leave search to Google. The difference between winners and losers is not knowing what needs to be done, but knowing how and actually doing it. So the reality of our value, the outcome of our strategy, is not in the fact that we show up to work every day. It’s in how often our customers cheer us on – and tell their friends. It’s our customers’ success story that matters at the end of the day. We keep things simple. No “red tape”. Unnecessary organizational layers slow down decisions and decrease the sense of empowerment that we work so hard to create. 'Bureaucracy' is a dirty word. We want everyone in the company to be as close to the customer as possible. That starts at the top. Err – we mean center. Even with the best strategy, planning, training and design – we continuously adjust and improve as a result of ongoing reviews along with internal and external feedback. We know that the markets we compete in do not stand still. We want to dictate the pace and have a say where technology is going and the problems it will solve.